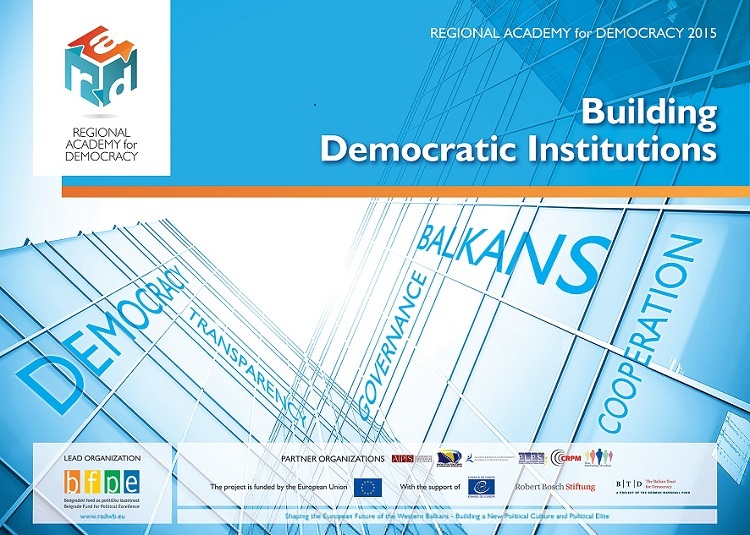 The third annual cycle addresses institution-building processes in democratic societies. It will attempt to present the most common dilemmas in establishing good governance, from decentralisation to media freedom and to developing partnerships between government and civil society for more effective policy-making. While Western Balkan countries stem from a fairly similar system of state organisation and institutional design (in particular the ex-Yugoslav states), in the course of diverging transition processes they have developed in very different ways, not least since there is no definitive international or European blueprint to follow in this respect. In the course of this cycle, the participants will examine the institutional solutions that support democracy both in their national contexts and those developed by neighbouring countries, and get a chance to critically examine the policies that have yielded satisfactory results. They will also identify those challenges that remain shared, in particular with respect to political realities and their joint responsibility for the future. The curriculum will be based on a variety of innovative learning methods, including interactive workshops, case studies, and introductions to the most prominent global leaders in this area. The study visit to Berlin will expose participants to first-hand experience of institutional reform. 2015 RAD Dean: Mr Pierre Mirel, former Director of the DG Enlargement Unit for Albania, Bosnia and Herzegovina, Montenegro, Serbia and Kosovo Issues.